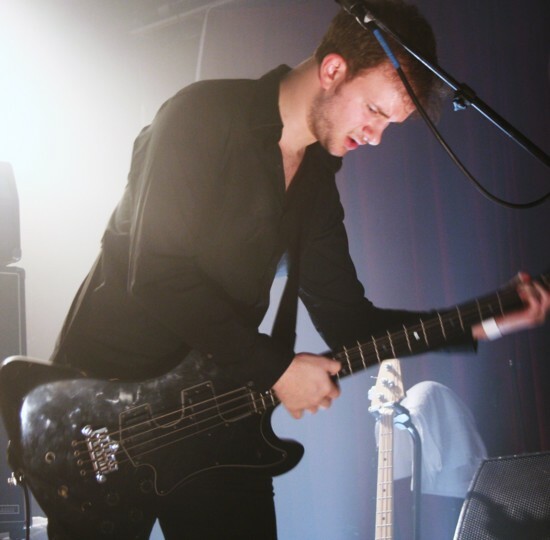 “We’re White Lies, and this is Death,” that’s how singer/guitarist Harry McVeigh ended White Lies’ set last Tuesday at Neumos in Seattle. The stage was stark, black and white with bits of fog drifting in and out and I felt like this was a bit like what Ingmar Bergman would have done with a rock and roll stage set. There’s that moment in the Seventh Seal where Max von Sydow’s character encounters Death in the flesh – that’s what it reminded me of and I mean that as a high compliment. To end a show with the pounding and relentless horror of Death’s That’s why everything’s got to be love or death/Yes this fear’s got a hold of me is a significant farewell. It may seem strange to talk about how a show ended before I talk about how it began but keep in mind this is a band concerned with emotional catastrophe and pain. Angst. And I love every part of it. 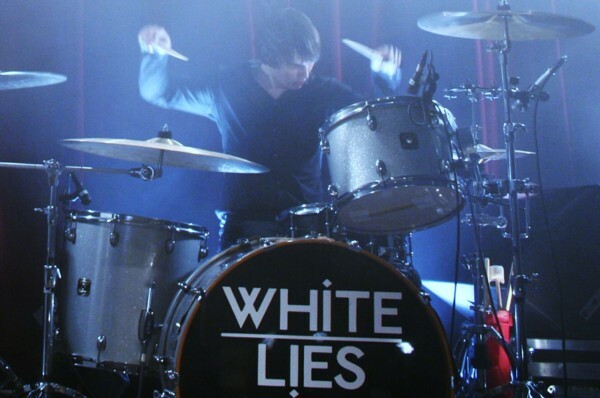 White Lies, comprised of McVeigh, Jack Brown (drums), and Charles Cave (bass/backup vocals), released their self-titled debut this year and it’s my favorite of the year. The band came out roaring with the contemplative and danceable Farewell to the Fairground and To Lose My Life. To Lose My Life, already a major hit in the UK is a Chameleons-esque beauty with an unfairly infectious lyric of Let’s grow old together/ and die at the same time. There is not a weak song in their live set or their CD – the alternating gentle and lusciously prominent bass, the strapping and elegant drumming, the rolling baritone, the swift guitar and provocative lyrics – it’s all here. 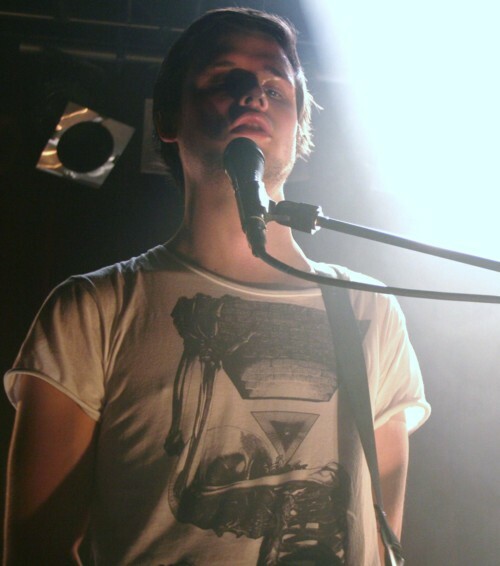 Unfinished Business was a highlight for me, it’s probably my favorite White Lies song. Its pace is so appealing and the lyrics so dramatic: You’ve got blood on your hands and I know it’s mine. I would type more but it would be the entire song. Just listen to it. Plus it’s got what I think must be a nod to Duran Duran’s A View to a Kill: A sight for sore eyes and with a view to kill. EST was also really amazing: I hope you remember me/ I hope you never pretend for me. Each band member has a unique and intense presence that attracted my attention the entire show. You just need to see this band, trust me. Added bonus: these are all handsome guys. 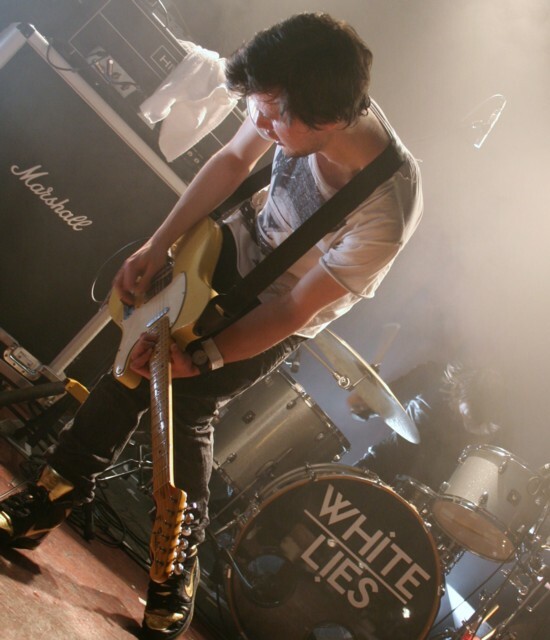 The live performance is different from the CD and that’s another bonus for me – White Lies is all that is glorious about music. Check out more photos of the show in my gallery: Page 1 and Page 2. Written by: Dagmar on 04/16/2009.